It’s not tomorrow yet, nor will it be ever: that’s the whole concept behind a day that is always 24 hours away. But this particular tomorrow will turn into today in around six days: the next Walking Dead episode, where Team Rick is feeling bold and cocky and sets off to dispatch of this Negan character — how hard could he be? 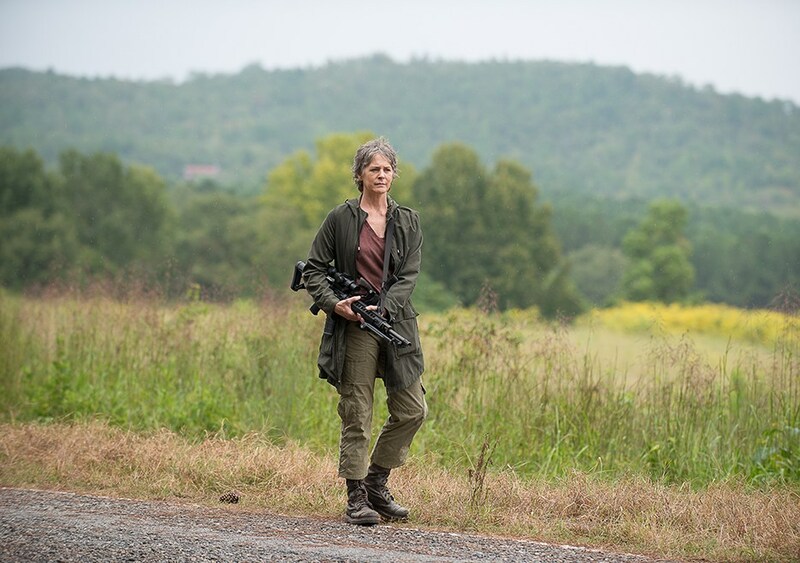 From the looks of the preview and screens, which premiered last night during the credits and Talking Dead, “Not Tomorrow Yet” will be more about the journey than the destination. Negam himself has not been confirmed until the finale, so we still have a fair amount of tomorrows to get through. 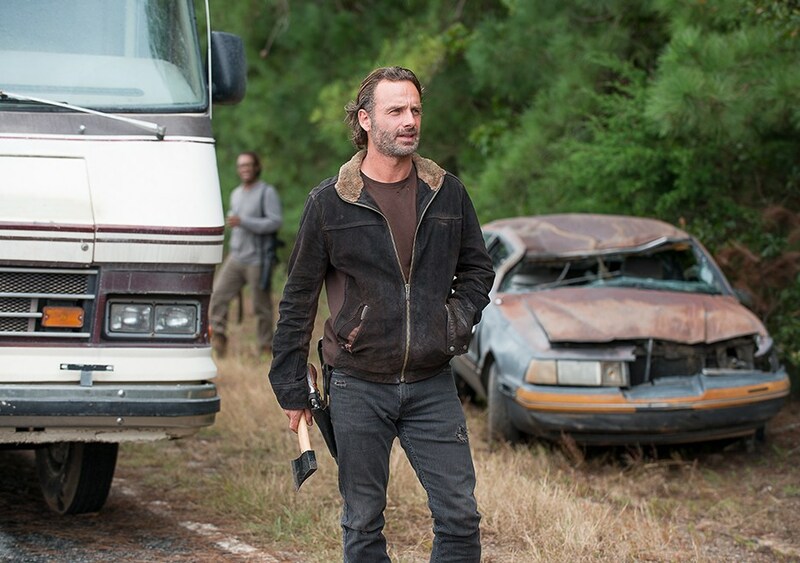 Rick (Andrew Lincoln) and the group realize the only way to maintain the peace of Alexandria is to fight a new enemy. This time, though, our group might be outmatched. Directed by Greg Nicotero. 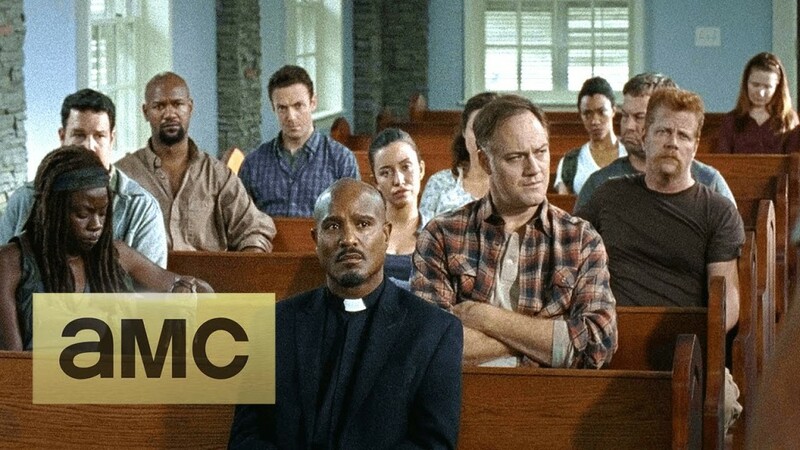 In this clip from Sunday’s episode, Rick tries to convince the entire town they need to suit up and join him. Check out the “yeah, nope” face on Morgan. He’ll need more than just an axe where he’s going. “Not Tomorrow Yet” premieres this coming Sunday at 9 on AMC.